Tighten the screw, add a plate and a wheel - soon you have a motorcycle. 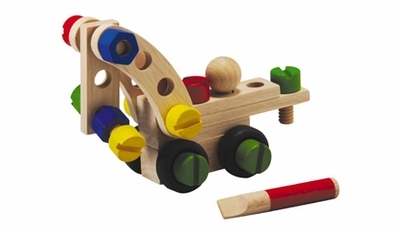 Unscrew the wooden screws and assemble a car. The possibilities are endless with Plan Toys 30 Construction Set! A classic construction set. This 30 piece set includes a screw driver. Green screw measures 2.2" long.